Holt Country Park01263 516001work Country ParkGreen Flag Award winning country park. A great place to bring the whole family, or just to escape into a peaceful woodland world. 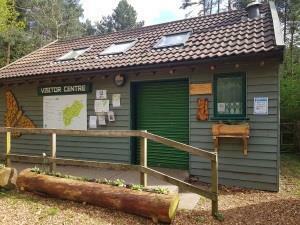 Holt Country Park is situated approximately one mile south of Holt on the eastern side of the B1149 Holt to Norwich Road. The park offers a children’s play area, waymarked walks, a visitor centre (seasonal), a viewing tower and several sculptures for you to enjoy. The park is open all year around and is used by a variety of visitors, from families to wildlife enthusiasts and dog walkers to school groups. The park delivers a number of fun & educational events throughout the year, usually in school holiday periods. Details of events can be found in our downloadable ‘Get Outdoors’ events brochure at www.north-norfolk.gov.uk/countryside and bookings for these events can be made at www.north-norfolk.gov.uk/book. Holt Country Park is now the permanent home to our very own GoGo Hare – A Hare through the seasons – who can be found in the sensory garden area of the park. Grid Reference TG 081 375. Green Flag Award winning country park. A great place to bring the whole family, or just to escape into a peaceful woodland world. The nearest postcode is NR25 6SP. Approximately 1 mile south of Holt. Follow the tourist sign to the main car park.